As your correspondent missed the match against Civil Service he cannot be sure if anyone was making his 1st xi debut against the students from down under but there was definitely a changed and perhaps experimental look to the eleven. 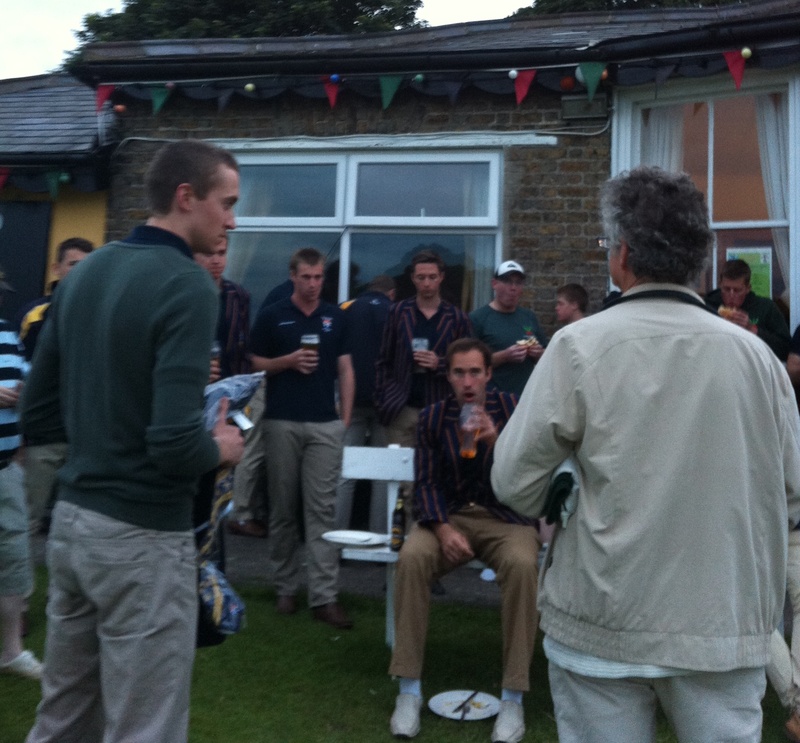 Scorers Dillon and Miller were not informed of the result of the toss but after the match it was recorded in favour of the visitors as they had the best of the daylight on an overcast evening. 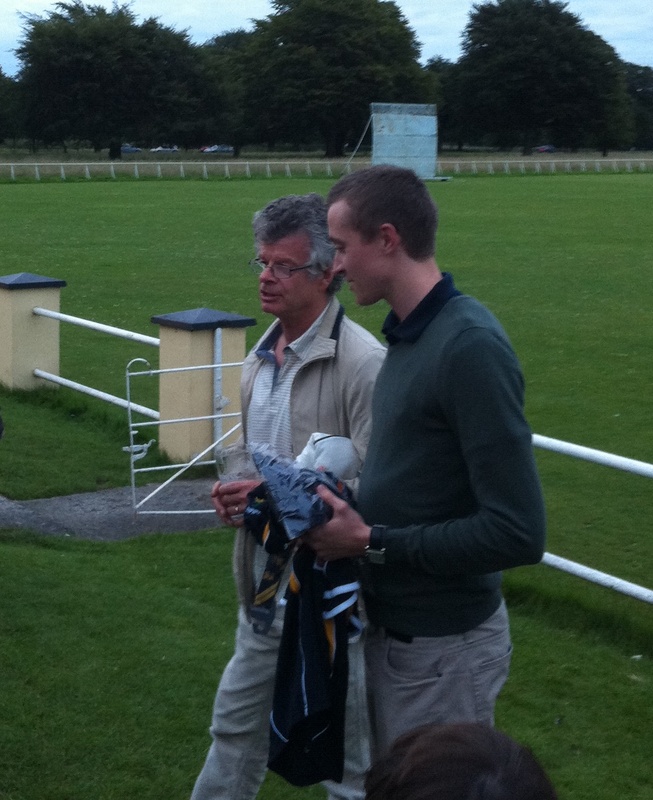 Ben Larkin returned to the club which still recalls his two centuries but was hors de combat due to a shoulder injury. The eleven who took the field for Phoenix were: Sim, Harris Mohammed, Charlie Wanniarachchi, wicket keeper Adam Chester, Joe McKay, Jan Hendrik Steenkamp, Captain Corie Dickeson,Thomas Anders, Willie Clarke (a substitute fielder for Vish Vaidyanathan), Sadaf Raza, Rory Anders. Due to a large wet patch on a length from the Chesterfield Avenue or Kop end it was agreed that all the bowling would take place from the magazine fort end. Arnott and Waterlow began positively against the Anders brothers but when Thomas was rested after bowling 3 overs for 16 runs the spectators might not have expected to concede as many more as Phoenix did. Rory conceded two sixes in his spell of 3 but after Mohammed bowled the 7th over it was Wanniarachchi who picked up the first wicket when Mohammed held a catch in the deep as Arnott went for 26. After a few early singles James Larkin began to entertain the crowd with some big hitting and this pair brought the score from 61 to 119 before Cavanagh gave Waterlow lbw to Raza. However, the Colonel’s figures were not too pretty by the end of his 4 overs spell at 1-55. Sim had James Larkin caught by Thomas Anders just when it seemed he might reach a century and Steenkamp caught and bowled Logan for 8. However, the visitors reached 200 with 7 balls to spare and inflicted further punishment when they struck 14 in the final over from Vaidyanathan. As Captain Dickeson looked for a strong reply from Phoenix he sent out McKay and Steenkamp to open the innings. McLean and Toyer were handed the ball initially and suffered because the Phoenix pair had to show some ambition. Next up were the slightly meaner Grant and Cull with the latter making the first inroad for the visitors when he had Steenkamp caught by Hill for 24. McKay perished on the first ball of Grant’s second over and from then on the Phoenix chase began to fade against the darkening sky and the pressure of the target of 217. However, at least most people who got a bat got some runs under their belts with Vaidyanathan including a six and a four in his 21 as he prepares to resume battle with the Leinster 2nd xi bowling attack. Dickeson made a steady 15, Thomas Anders struck a no ball for four on his way to 8, Wanniarachchhi was lbw to Cull for 4 and Sadaf Raza was the last man out for 10 as Harris Mohammed was the main contributor to an 8th wicket stand of 10 with Adam Chester as the innings closed on 127 for 7. The victors partake in a libation. Note the vanquished busy stuffing their faces!